Product prices and availability are accurate as of 2019-04-12 08:00:32 EDT and are subject to change. Any price and availability information displayed on http://www.amazon.com/ at the time of purchase will apply to the purchase of this product. Soak the seeds in the jar. Put 1 to 4 tablespoons of seed in the jar. Add water and soak overnight about 8 to 10 hours. 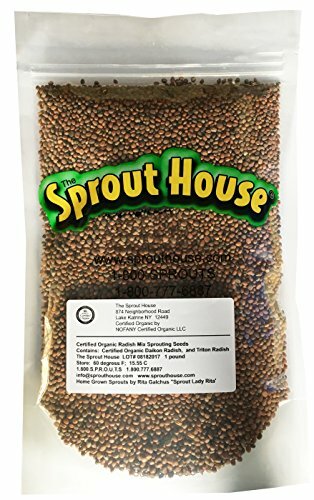 Most seeds can be soaked for 24 hours with a water change in the middle at 12 hours. 2. After you have soaked the seeds, drain out the water, making certain there are only wet seeds left in the jar, no standing water. 3. Rinse the seeds with fresh water, drain out the water, making certain there are only wet seeds left in the jar, no standing water. 4. 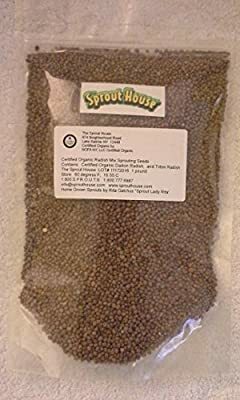 Twice each day, rinse the seeds with fresh water, drain out the excess water, making certain there are only wet seeds left in the jar, no standing water.